In case you’d missed the army of Harley Quinn costumes and hadn’t figured it out yet, Halloween is just around the corner. But if you’re anything like me – read, lazy – and can’t be bothered to dress up, how about staying in and watching one of the scariest movies in history, while you gorge on all of the candy? Luckily for you, one clever YouTuber has pulled together a list of the seven films that were so disgusting people actually walked out of the cinema because they could take no more. CGI and special effects are constantly evolving and some horror films boast scenes as depraved as the minds from whence they came. These are the classics too horrible for even the most hardened viewer. The 2005 American-German gore-fest was written by Rob Zombie as a sequel to his equally family-friendly House of 1000 Corpses. Although the sequel saw the introduction of characters with at least a semblance of a story line, cinema-goers just couldn’t stick around for the emotional culmination of the narrative, as the film was too graphic. The graphic shock-factor of the 2013 remake of this creepy cult favourite saw possessed self-mutilation to good old projectile vomiting. Viewers at the SXSW film festival left before credits rolled, which, according to the producer is the ‘sign of a good horror movie’. As the 2013 film was the fourth in the Evil Dead franchise, God only knows what they’ll do with the fifth. The Witch opted for a more subtle style of horror, telling the quietly disturbing story of a 17th century rural American family tormented by evil. Unfortunately, the film fell short on the gore and many cinema-goers left the theatres due to the bore-factor. This cannibalistic film was a step too far for even the hardiest of meat-eater. It tells the tale of a young vegetarian woman hazed into eating meat by school bullies. The scene in which she pulls a packet of raw chicken out of the fridge and consumes it enthusiastically is particularly gruesome. Here’s another film which will make you question your meat-eating habits. 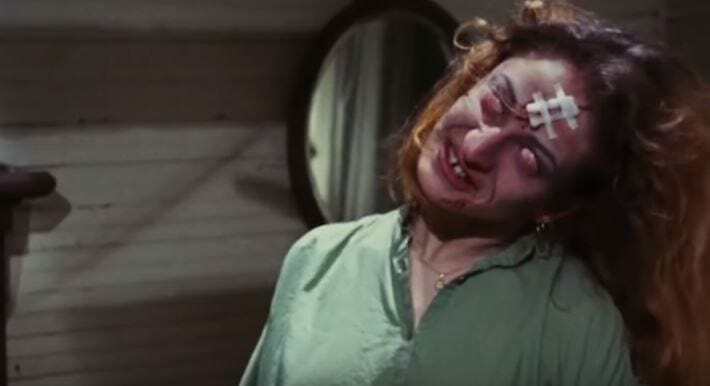 A particular highlight sees a young woman hung from a meat hanger as she is forced to watch Leatherface mutilate her friend with – you guessed it – a chainsaw. This contemporary Japanese thriller sees a beautiful young woman explore her depravity through torture. It documents her twisted history of mutilating victims, up to and including making a man eat her own vomit from a dog bowl. This film is the darkest of the lot, and the one that truly made me doubt the depths of evil which humanity could breach. The plot – if you can call it that – simply serves as an excuse to see a quack surgeon inflict unknown horrors on innocent victims. I will never understand how there were sequels. If there are ever any arguments for locking up creative filmmakers whose imaginations hold untold tales of horror, gore and misery – these seven movies state them pretty succinctly. Prepare the pillows, it’s going to be a fright-fest.